For five or more delegates, it is cost-effective for a Small or Medium-size Enterprise (SME) to run an in-house classroom course for PFQ or PMQ. For a PMQ classroom course with eight delegates, savings of about 30% on the MSC course fees may be made. More delegates - bigger savings! Additionally, save on delegates' travel and accommodation costs. Available anywhere in the UK. Our unique materials can be tailored to fit your own specific needs. The MSC range of on-line and classroom materials use the latest approaches to training that we have developed and tested over many years. Phone or email us to discuss what might be most suitable and to ask for a quotation. "One of the most beneficial and enjoyable courses I have ever been on." "An excellent course and presenter." "Very enjoyable and informative, keen to progress to the next level". "Should have done this ten years ago". "An excellent couple of days spent training .. just the morale boost I needed having lost my job only two days beforehand." " Thank you once again for a fantastic course. 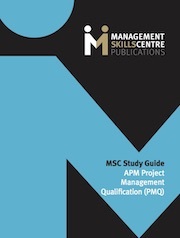 I would recommend your PMQ course without hesitation to my colleagues." There are four main routes to ChPP - Route 1 via PPQ or PQ, Route 2A via RPP, Route 2B via PPQ/PQ and then RPP, and Route 3 the direct route. What are the advantages and disadvantages? After a successful launch in London of the Level 4 Trailblazer Apprenticeship, our partners, Jobwise Training Limited, are rolling out a similar programme in Manchester. 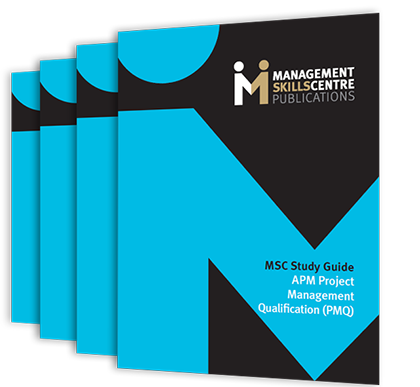 This Apprenticeship uses the MSC teaching materials for the PMP and includes both online and face-to-face tutor support to supplement the classroom teaching. Contains 300 pages of material for four training days plus an examination workshop. Accompanies 36 video podcasts for self-study. Updated to 2017. 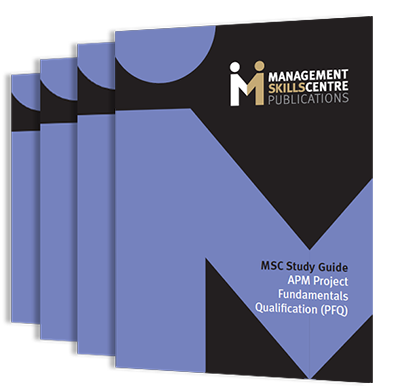 "Fantastic guide to the PMQ course." "Easy to follow." Available from Amazon for £37.50 - click here. 158 pages covering the whole PFQ syllabus. Complemented by 23 video podcasts for self study. "Easy to learn from." "Passed first time! Would recommend." Available from Amazon for £27.50 - click here.